River Walks, a new BBC series, will showcase eleven spectacular walking routes across England, broadcast parallel in the Regions. Each episode will reveal how the waterways have shaped the local landscape, history and culture, with celebrity guests suggesting routes for picturesque walks. 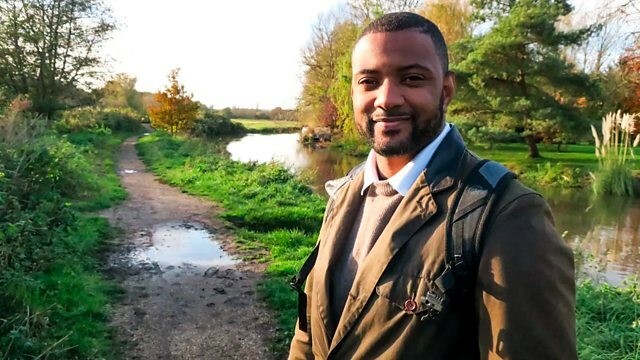 Presenting the Southeast episode will be JB Gill (Down on the Farm, Songs of Praise). Other famous faces to explore England’s scenic riverbanks include Rachel Johnson and her father Stanley Johnson (I’m A Celebrity… 2017), as well as broadcaster Stuart Maconie and actress Shobna Gulati (Coronation Street). The series includes a walk along the Kentish Stour, starting at its source in Godinton in the district of Ashford and following it through the historic city of Canterbury and ending at Pegwell Bay in Thanet. Previous filming that has taken place across the Stour Valley includes Country File (2012) which filmed in Ashford, Britain’s Great Cathedrals with Tony Robinson (2018) in Canterbury, and Fantasy Homes By the Sea (2018) in Thanet. River Walks starts on BBC One South East Channel on Monday 10th December at 7:30pm.